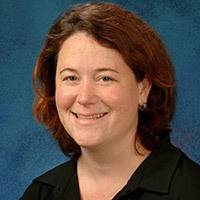 Maureen A. McMahon is a an Assistant Professor of Medicine/ Rheumatology who joined the UCLA School of Medicine faculty in 2003. She graduated from the University of Chicago Pritzker school of Medicine in 1997. She completed a residency in Internal Medicine at Rush Presbyterian St. Luke's Medical Center in Chicago in 2000, and also served as chief resident in Medicine in 2001. Dr. McMahon completed a fellowship in Rheumatology at UCLA in 2003, and will receive a master's degree in Clinical Research from UCLA in 2005.